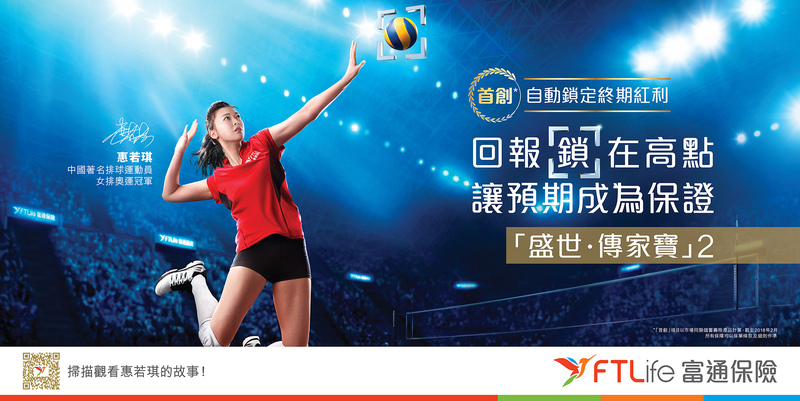 We invited Hui Ruoqi, former captain of the Chinese volleyball team, to endorse FTLife’s product in story-telling approach. To introduce FTLife Regent Insurance Plan 2 and the new product endorser, Hui Ruoqi to the market, our team developed sets of key visuals and videos in a story-telling approach. We interviewed Hui to share her stories on “always aim high” and “the everlasting women's volleyball spirit” to convey the key features of “Terminal Dividend Lock In Option” and “Unlimited changes of insured” respectively. From content creation to photo-video production, and to media buying, our team has taken the whole part of product branding campaign, offering one-stop advertising service to cater our client’s needs. WANNA GET MOST UPDATED NEWS FROM C MEDIA? SUBSCRIBE NOW.